Service anytime, anywhere is as important to RAM Innovative Technologies as it is to our customers. We believe in our products. We also believe in continuous support for our customers. That means that the RAM crew is there for start-up, general maintenance, installation, quality checks, troubleshooting, and anything else. Our field service crew is there whenever they are needed, wherever they are needed, staying as long as it takes to get the job done. That’s how dedicated RAM is to reducing downtime and maintaining maximum production efficiency. 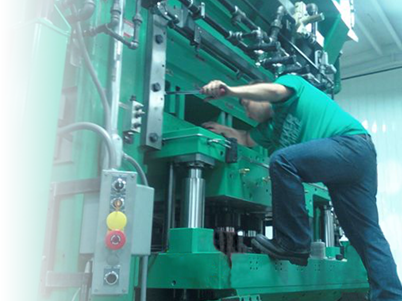 Down the line, we will provide technical support when the die set needs rebuilding or reconditioning. RAM never calls it quits after the buy-off. As long as you have our die sets in production, you will have RAM behind you. Quality service and quality products: That’s the RAM Innovative Technologies story. seeing you through to final production.